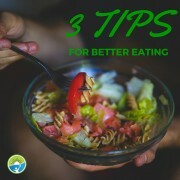 The key to eating healthy is eating food that tastes good. From the youngest of babies, we learn that food that doesn’t taste good isn’t worth swallowing. Whenever we work with clients, regardless of the issue, we focus on eating a diet of food that the child and family can enjoy. 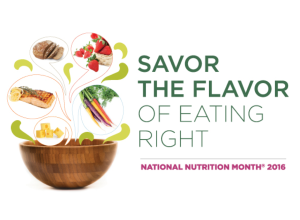 That’s why I think this month’s National Nutrition Month theme: Savor the Flavor of Eating Right is spot on. To start off the party of National Nutrition Month this March, I present an awesome “savor the flavor” recipe that you can flavor yourself! 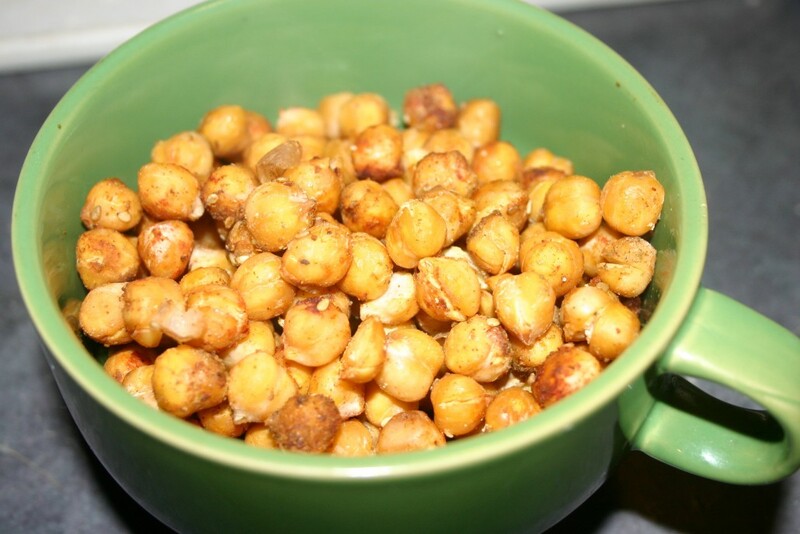 Chickpeas–garbanzo beans–call them what you will, taste lovely in a salad or even on their own. But to roast them with spices is divine. 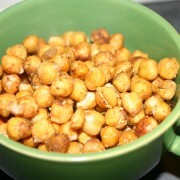 Try this recipe that only takes moments to prepare, and you’ll see what I mean. I suggest sharing them with your family or a friend, otherwise, you’re likely to eat the whole batch. Heat oven to 350 degrees. Mix spices in a bowl with olive oil. 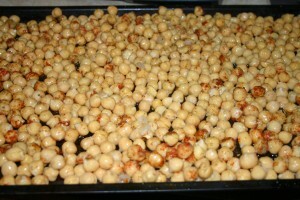 Add drained chickpeas and stir until thoroughly combined. 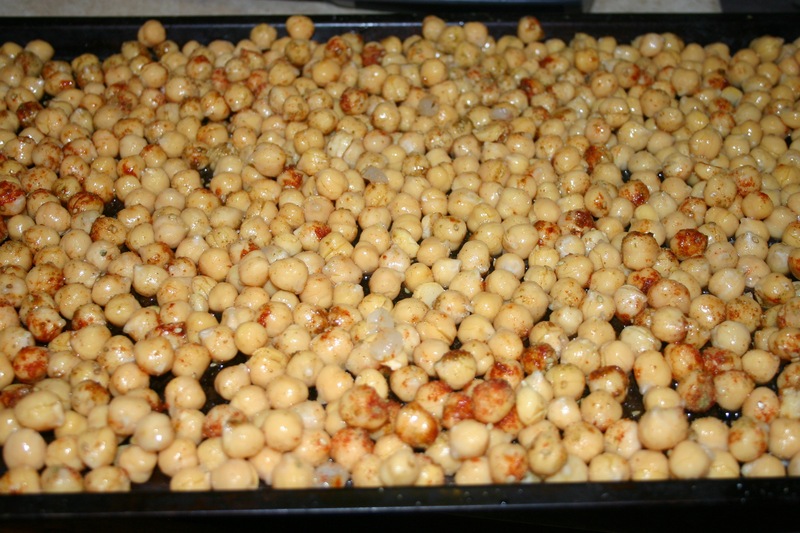 Spread out on a baking sheet and bake for 30 minutes. Enjoy warm. You can also add them to a salad.